Following three years construction work and a £174m investment, the new four-lane M3 Smart motorway between Farnborough (Junction 4a) and the M25 interchange (Junction 2) has now opened bringing an immediate benefit to clients of TAG Farnborough Airport, Europe’s leading business aviation airport. This substantially enhances one of the key trunk roads linking the airport to the surrounding area and further improves the journey time from Farnborough to London. The Smart motorway uses variable speed limits to manage traffic and utilises new technology to give drivers better information on road conditions ahead. These features, as well as the ability to convert the hard shoulder into an extra traffic lane, all contribute to relieving congestion. The International Business Aviation Council (IBAC) formally announced the initial Stage II registrations for the International Standard for Business Aircraft Handling (IS- BAH™), the global code of best safety practices, which were issued in May 2017 to TAG Farnborough Airport, UK; Sky Valet of Cannes-Mandelieu, France; and SRC Aviation, New Delhi, India. “Our congratulations go out to the respective management and teams at Sky Valet, SRC Aviation and TAG Farnborough Airport for their continued support and dedication to the IS-BAH™ programme. The first Stage II registrations are a significant milestone for the Programme, and it’s fitting that they should come ahead of EBACE 2017 and the planned IS-BAH™ Standards Board meeting where, following positive user feedback, possible enhancements to the industry ground handling standards will be discussed”, said Terry Yeomans – IS-BAH™ Programme Director. The IS-BAH™ has been created for the industry by the industry. It incorporates a scalable safety management system (SMS) concept in all aspects of FBO/BAHA operations and is complementary with the International Standard for Business Aircraft Operations (IS-BAO™), adopted globally by corporate flight departments. The IS-BAH™ is a joint programme between IBAC and the National Air Transportation Association (NATA). It incorporates the NATA Safety 1st ground audit programme and follows the long established structure of the IS-BAO™ programme. This month, TAG Farnborough Airport was placed first in the Aviation International News (AIN) FBO Services Survey and Professional Pilot PRASE Survey. TAG Farnborough Airport has topped the ‘Europe, Middle East, Africa and Asia Pacific’ category in AIN’s international FBO survey for 11 years in a row. Since 1981, readers, who use FBOs and/or are directly involved in flight planning, including a cross-section of pilots, air crews and dispatchers from international operators, have been selecting their favourites in this annual survey from a list of more than 4,500 FBO services providers worldwide today. It is also the 12th consecutive year that TAG Farnborough Airport was named ‘Best European FBO’ by Pro Pilot in a survey of qualified pilots. TAG Farnborough Airport UK joined Calthorpe Park School in Fleet yesterday (30 March 2017) to plant 150 trees at the school site as part of the airport’s environment management programme. 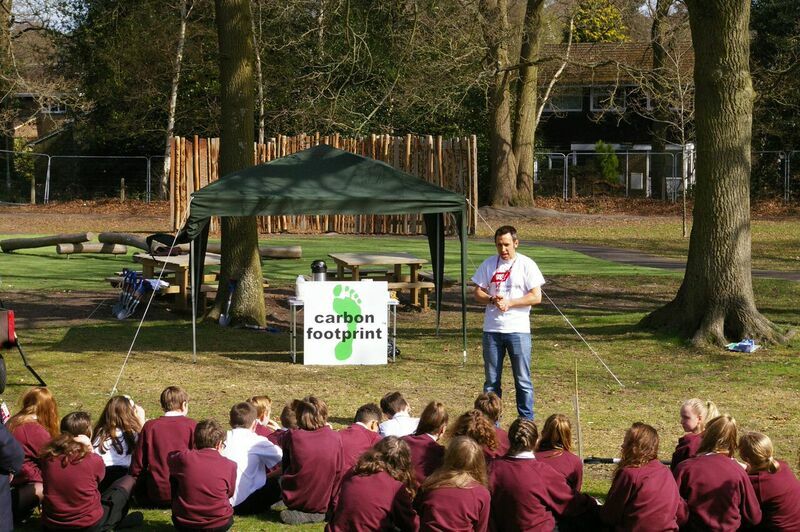 Calthorpe Park School is one of 16 schools and wildlife reserves in the Rushmoor and nearby area, which are receiving a total of 3,500 native (broad-leaved) trees funded by TAG Farnborough Airport this spring. TAG Farnborough Airport UK has been measuring and reducing its carbon footprint since 2008 and as a result has cut annual carbon emissions by nearly 30%. TAG Farnborough Airport is offsetting its 2017 carbon emissions in conjunction with Basingstoke-based Carbon Footprint Ltd through tree planting in the local area as well as a conservation project in the Amazon rainforest (Florestal Santa Maria Project), which works towards protecting trees in one of the most biodiverse places in the world. 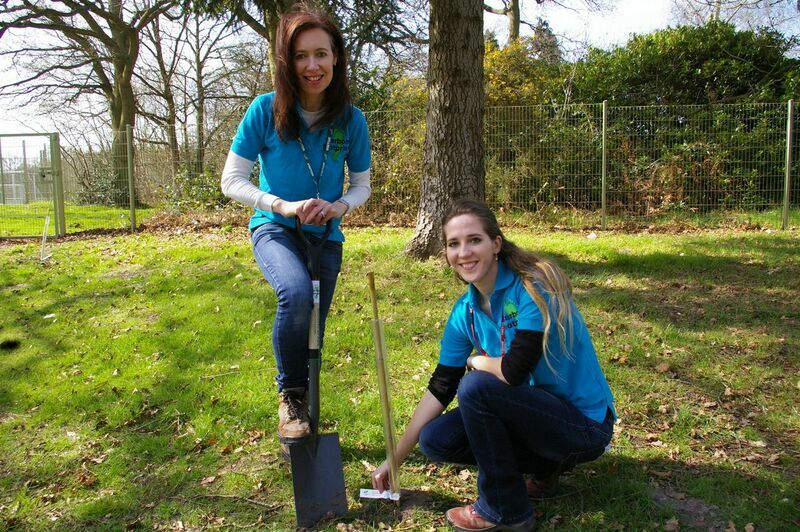 TAG Farnborough Airport UK initiated the tree planting in support of its carbon offsetting activities. Together, these initiatives contribute to the final stages of a ten-year project to manage and reduce carbon emissions through an independent, voluntary scheme called Airport Carbon Accreditation. In 2013, TAG Farnborough Airport UK was awarded the third of four levels of accreditation – ‘Mapping’, ‘Reduction’, ‘Optimisation’ and ‘Neutrality’ – which certify the step-by-step process towards comprehensive carbon management and carbon neutrality. TAG Farnborough Airport is one of five airports in the UK to have achieved the ‘Optimisation’ level and is now on target to reach ‘carbon neutrality’ by 2019, which requires offsetting residual carbon emissions over which the airport has control. “The environment has always been important to us and we monitor our carbon footprint very closely. The tree planting is part of our carbon offsetting activities that will help us reach our goal of carbon neutrality. It is encouraging to see that our neighbours support us in this”, Thomas added. 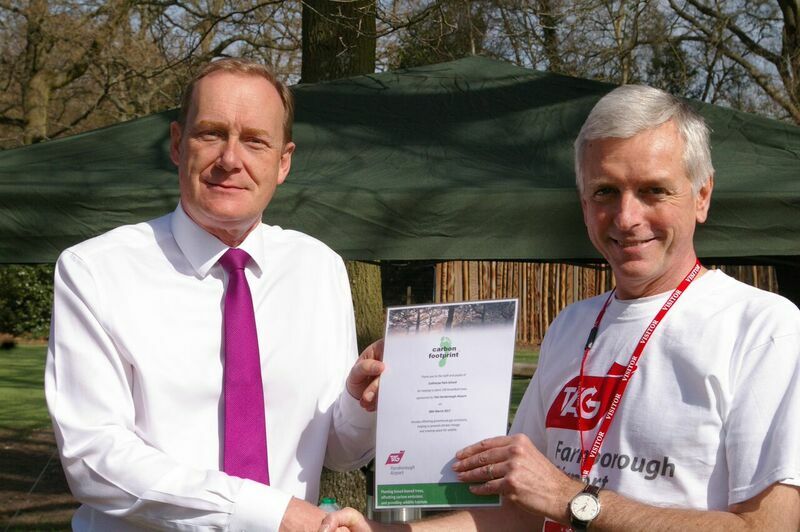 In 2016, TAG Farnborough Airport UK was presented with a Silver ‘Green Apple Award’ by The Green Organisation at a ceremony held at The House of Commons, in recognition of its commitment to reducing environmental impact and continuous improvement through best practice. In particular, the award acknowledges the innovative sustainable staff travel plan which encourages employees at the airport to adopt low or zero carbon travel such as cycling, the use of public transport and car sharing. The airport has also invested in electric vehicles, e-bikes and traditional pedal bikes for staff movement in and around the airport site. While improving energy efficiency at TAG Farnborough Airport through investment in site-based solar energy, specialised hangar heating systems and low-energy lighting across the airfield, waste management has also been a focus of the airport’s environment management programme. 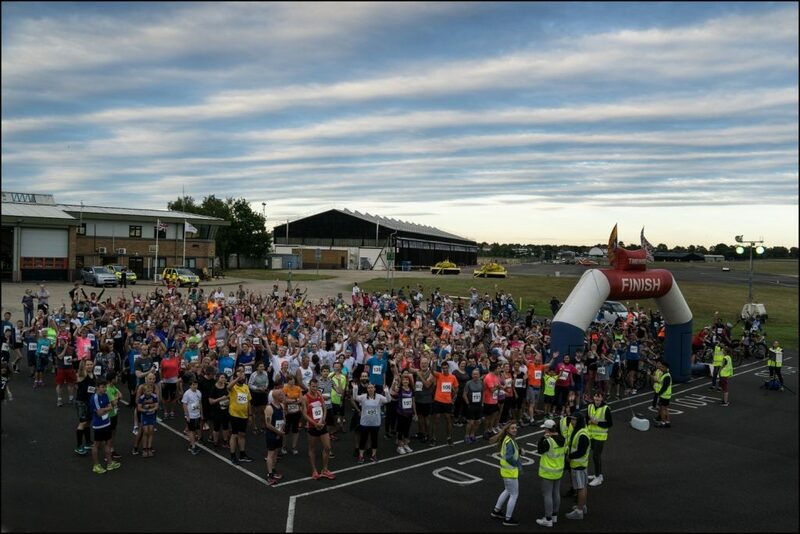 Zero waste to landfill was achieved throughout 2016, establishing a level of performance to which TAG Farnborough Airport is committed to for the future.